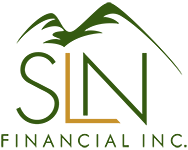 December 20, 2017 - Tips to Help You Manage Your Charitable Giving | SLN Financial, Inc. Giving to charities is a great way to help out your community and give back during the holiday season. Charitable gifting can take many forms, from cash donations to even donated appreciated assets. And individual donations make up the vast majority of aid that many charitable organizations and programs rely on. In fact, 72% of all donations in 2016 came from individuals. If you plan to wrap up the year with charitable gifts, here are some tips to keep in mind. Make sure you donate to a qualified organization. Beyond helping others, your charitable gifts may count as deductibles on your taxes. In order to do so, you will need to make sure that the IRS recognizes it as a qualified organization. You can check this detail on the "IRS “Exempt Organizations Select Check Tool,” which helps you verify the organization’s status. Receive a written letter for donations over $250. To deduct donations on your taxes, you need written proof from the tax-exempt organization that you gave at least $250. If you made multiple donations, you can either have one letter that lists all donations or a new letter for each individual donation above $250. Check if your employer matches your contributions. If you are looking for ways to make the most impact with your donation, consider looking into whether your employer will match the amount you give. While 65% of Fortune 500 companies implement the program, many people leave this money on the table. In fact, unclaimed corporate match money amounts to $10 billion each year. By opting into the program, you can help a nonprofit take advantage of these available funds, while making your own dollars go farther. Your donations will count for this calendar year if made before December 31. Any donations made after this date will apply to the following calendar year, regardless of any pledges to give that you made. Further, should the current tax reform bill move forward, many taxpayers may no longer be able to itemize their deductions in years ahead. If this affects your gifting strategies, consult your tax advisor for the steps you should take. If you would like to talk about which charitable gifting strategies best support your financial goals, we’re happy to talk.